For the next few days or so we at E3xtreme are going to discuss some of the top moments in drag racing that occurred during the 2018 season. This is not a numbered list and is in no particular order. These are just some of the moments that we deemed the most memorable moments of the year. Whether it be small tire, big tire, pro mod, radial, etc. there were a lot of great moments to highlight, so let’s get started. Records are made to be broken, we all know that within the sport, but let’s face it, I don’t think any of us saw this one coming, or at least not to this extent. Donald Long, who is the foremost promoter of radial events in the world brought together the best of the best for an event called Sweet 16 back in March of this year. This was the event that was going to separate the heavyweights from the rest, and on top of that, he was paying out a record $101,000.00 to the winner. Mark and Jason had their eye on the prize and the record all weekend. Pass after pass they were laying it down until they were able to hold up the clear suitcase full of cash. In the process they had set a new mark of 3.62 and speeds over 220 mph. This comes less than a decade after David Wolfe was setting the bar with low 4.40’s in RvW trim at the same track. The feat that these two accomplished in 2018 is one of the most impressive feats in the history of drag racing. I openly stated in a previous article that I don’t think we will see a .50 next season. Jason disagrees with me and we aren’t far off from ramping up the 2019 season. Will 2019 bring us our first 3.50’s pass on radial? Adam Flamholc, former Pro Extreme Competitor. While we love to highlight the good in drag racing, it isn’t always rose colored and rainbows in drag racing. There are events that make us shake our head in disappointment, and even cause emotion. This, for me, was a little bit of everything. The final nail in the coffin of Pro Extreme was a little later than a lot thought it would be. While the class has been coming to a close for a couple of years, 2018 was really it’s final call. One of the worst parts of Pro Extreme coming to an end was that it didn’t even make it through the entire season. What was once considered the most exciting class in all of drag racing less than 10 years ago, is all gone now. I don’t completely think that we will never see some iteration of Pro Extreme again, but I think that in it’s current form it had certainly ran it’s course. Just like everything else in our industry though, it’s cyclical and eventually will come back around. I am sure you are wondering what in the hell I am talking about when I say, “Rookie Season” and Jeremy Ray in the same sentence. Jeremy is not new to Pro Mod at all and had previously competed in the PDRA Pro Boost category. 2018 was in fact Jeremy’s first foray into the NHRA sandbox to compete on the biggest stage in all of Pro Mod racing. 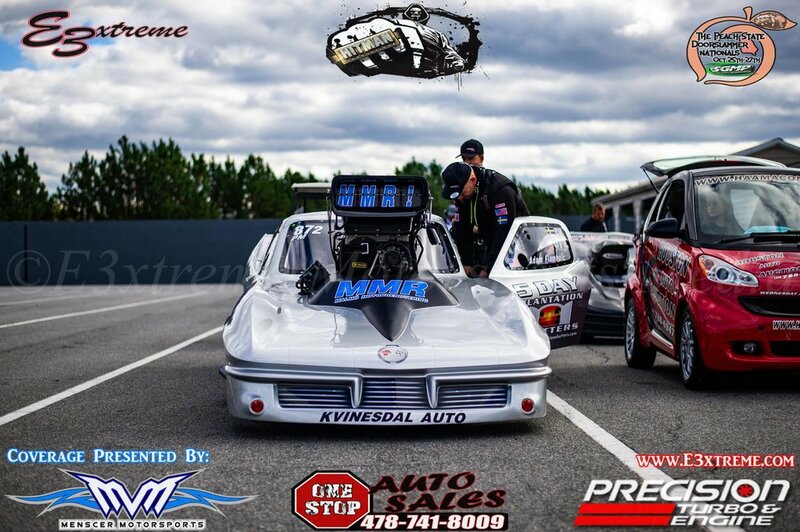 It started with Jeremy unexpected winning the RPM Pro Mod Winter Warm-Up in Orlando to really kickoff his season. Jeremy went on from there to qualify for every event on the schedule and collect his first career NHRA Pro Mod victory in Ennis at the end of the season. He also made it to the finals vs. The Great One Rickie Smith earlier in the season at Norwalk. Jeremy closed out the season sitting 6th in points. Not too bad for a rookie at that level. It will be interesting to see what the Ray family has in store for the 2019 season. The NHRA was left scrambling early in the 2018 season when it was announced that Englishtown had sold/leased/whatever they did with the land that the dragstrip was on to someone else. There was going to be no more drag racing there. NHRA, had to find a place to replace Etown, and do so in a hurry. We had announced the closing of Englishtown on January 17th, 2018. That meant that the schedule was out long before this. On top of having to move, they were also moving a planned Pro Mod destination. Moving an event of historic proportions, the size of a NHRA National Event is not an easy task. Luckily there was fresh eyes and motivation back over at Virginia Motorsports Park with Tommy & Judy Franklin, who had just purchased VMP a few months prior to the Etown announcement. Discussions were had with NHRA, and Judy, Tommy, & VMP were awarded the national event. Even though they were awarded the event, they still had to pull it off, and they did that to a tee. While we weren’t able to attend, we did hear from a lot of racers that the surface was amazing, the facility was great, and everyone was so happy to be back at VMP after a long hiatus. Congrats to Judy & Tommy on successfully hosting a top notch NHRA national event less than a year after buying the place! There are few drivers in my generation that are better human beings than Don Walsh Jr. In 2018 we got to see him make a return to racing in his own car after a short break. Don had previously been driving in NHRA for Harry Hruska and the PTE Camaro but determined that it was time to take a break and enjoy the finer things in life, like his family and his business. Being that his daughter is heavily involved in volleyball, being around for that became much more important than traveling around the country all summer racing. After a short stint on the sidelines, Don got the itch to go back out on his terms and his schedule. This time he worked out a great deal to pick up the Vette owned by the Q80 team and housed at Proline. Yeah, it’s still strange for me to see him driving Chevy’s too. This meant that Don was going to have a proven chassis that was capable of running numbers. Instead of heading over to the NHRA, which he had just left previous, Don came back home to NMCA & compete for the championship over there. The NMCA runs much closer to Don’s home and business in Michigan, so it’s more feasible for his to do the NMCA series versus anything else out there. When Don came back, he was certainly on his game. Don went to three finals out of the six races and he won one. He also finished second to Jason Hamstra in the chase for the championship. I spoke with Don at PRI and he still hasn’t confirmed his 2019 season, but I know personally I am hoping that he gets back out there and goes after that NMCA championship.